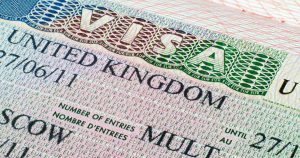 “We welcome the MAC’s final report on EEA migration to the UK and the recommendations it makes as the UK seeks to define its post-Brexit migration system. It is important to stress that the final report recognises the net-benefit that EEA migration has to the UK economy, especially from high-skilled workers, and how these benefits support the delivery of the Government’s Industrial Strategy goals. We welcome the recommendation that the cap on the number of high-skilled immigrants be removed and the process for bringing in talent be made easier. This is especially welcome given the number of non-UK workers our members employ. As we analyse the report in full detail, we emphasise that the UK’s post-Brexit migration system must allow for the flexibility to accommodate the needs of different sectors as well as the need to bring people in to fulfil short-term, temporary roles. Government should examine the impact the current salary thresholds have for different sectors or companies looking to bring in apprentices for training in the UK. The UK has been, and continues to be, an attractive destination for investment for US companies. A major factor in making these investments is the access to talent and skills, and the ease at which they can be found. We are already seeing the amount of inbound talent to the UK fall as uncertainty continues around the UK-EU’s future relationship and the ability for companies to bring talent to the UK post-Brexit. To compensate for this uncertainty, any new immigration system should be subject to a sufficient transition period that allows for businesses to adjust to new rules. BritishAmerican Business previously submitted evidence during the consultation phase of this report. You can read our submission in full by clicking here.